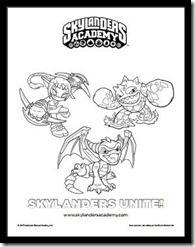 Skylanders Unite! The heroic team is back for a second season on Netflix on October 6. 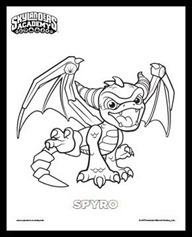 The Skylanders are back in action protecting the realm! 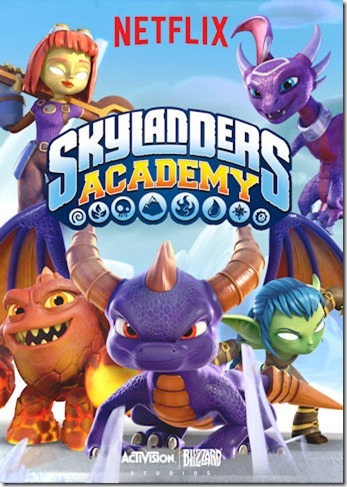 In the animated series from Activision Blizzard Studios, Skylanders Academy follows the heroic adventures of Spyro (Justin Long), Eruptor (Jonathan Banks), Stealth Elf (Ashley Tisdale), Jet-Vac (Jonny Rees), Pop Fizz (Bobcat Goldthwait) and their team of young warriors as they travel the vast Skylands universe protecting it from evil-doers. 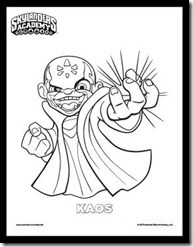 Created by Eric Rogers (Futurama) and based on the popular Skylanders® videogame franchise, the action-comedy centers on the band of heroes as they train under the watchful eye of Master Eon (Chris Diamantopoulos) learning how to keep peace and protect their homeland from the constant threat of villainous forces. 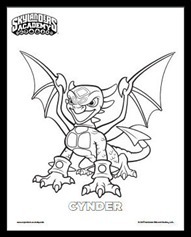 To celebrate the Skylanders return, we’re providing you with a few Skylanders Academy coloring pages of your favorite characters, to share with your kids. Simply right-click to download or print. 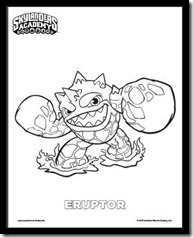 If your family has a birthday coming up, the Skylanders have teamed up to sing “Happy Birthday” as part of Netflix’s Birthdays On-Demand. Just search “birthday songs” on Netflix to unlock this special performance on your own Netflix account.